One of the most talked-about films of 2018 can be summed up in three words: "Whoa, whoa, whoa." The teen romance "To All the Boys I've Loved Before" took Netflix by storm in August, making stars of lead actors Lana Condor (Lara Jean) and Noah Centineo (Peter). 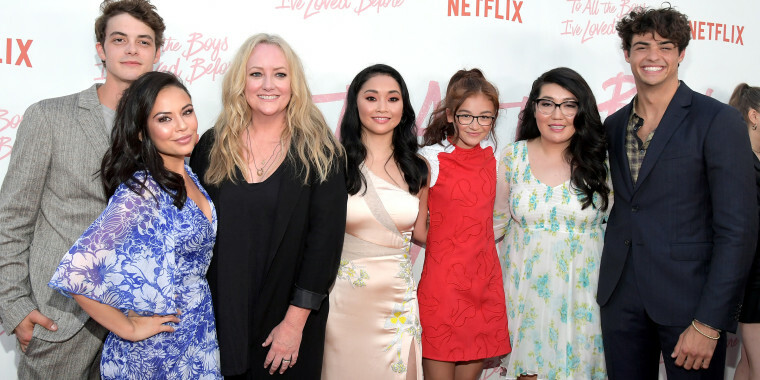 As part of our Voices series, the author of the "To All the Boys I've Loved Before" novel, Jenny Han, reflects on the popularity of the movie, and the reason why its release was so "historic and important." 2018 has been a year of wild growth for me, both personally and professionally. I've been writing books for over a decade, have published 11, but “To All the Boys I've Loved Before” was my first book that was turned into a movie. It would go on to be one of Netflix's most viewed movies ever. All along, my most fervent hope was that the book fans would love it, but having the film be so widely embraced by so many was more than I ever dared hope for. Many readers first met Lara Jean in 2014, some met her in 2018, but she's lived within me for much longer. It's a bit surreal to share her with such a big audience now. For a writer, sharing creative work will always feel vulnerable. Yet, compared to film and television, the book world is a small and somewhat intimate community. When a book becomes a movie, that feeling of vulnerability is amplified times a million. A trillion. To launch a movie on a platform as big as Netflix, worldwide, massive, in over a hundred countries — that is a whole other scale. So, 2018 has meant losing something — the quiet delights and private pleasures of being a children's book writer — and gaining something — connecting with a wider audience, proving that diverse stories are not niche stories. For so long I have bemoaned the dearth of rom-coms, so to be a part of the renaissance of romantic comedies is hugely exciting for me — and even more than that, to be a part of this movement for more Asian-American representation in movies. To know that Korean-American Lara Jean Covey joins the ranks of Samantha Baker in “Sixteen Candles” and Cher Horowitz in “Clueless” as iconic teen rom-com heroines feels historic and important. One moment I'll never forget from this year is Halloween, when I saw so many Asian-American women dress up as a character I created. To see these women claim ownership of Lara Jean and of this moment — that was maybe one of the most gratifying experiences of my professional life. What does 2019 hold in store for me? Well, I'll be writing, of course. For a writer, it's always about the next story, and that's where I'll be, working on my next story, whatever the format.